Service Advantage is a substantial addition to Ricohs services suite that offers businesses access to its global network of highly skilled and certified services employees to assist with lifecycle management for electromechanical devices. Dale Walsh | Ricoh USA, Inc. Please tell us a bit about Ricoh and its role in the Robotics industry? RICOH Service Advantage is fully focused on the lifecycle management of electromechanical devices. When you think about it, robots and drones are indeed electromechanical devices, so Ricoh’s expansion into the robotics space is a logical one. As your readers are very aware, robotics is an exciting, emerging technology and businesses staking a claim in this new industry could very likely need assistance with adoption and proliferation of robotics. The Service Advantage message is “you innovate, we execute.” And robotics is an industry where we are doing just that. The role of Service Advantage can help robotics companies execute in nearly any facet of businesses. Those looking for “handlers” who interface between customers and the robots to ease that adoption in a retail shop from preventative and on-demand maintenance call center support, all the way through to end of life and much more. What is Service Advantage? Why is Ricoh uniquely positioned to provide these types of services? Service Advantage is a substantial addition to Ricoh’s services suite that offers businesses access to its global network of highly skilled and certified services employees to assist with lifecycle management for electromechanical devices. Ricoh’s service professionals, with proven experience in service and manufacturing, account for nearly one fourth of the company’s global presence in 190 countries and territories. These employees bring Ricoh’s well-known customer service and expertise to all industries across the globe. As businesses look to expand, the upfront capital costs associated with expansion can be a hindrance. Ricoh Service Advantage allows businesses to leverage Ricoh’s resources to deliver the service their customers expect. Ricoh’s 80-year heritage has been focused on supporting companies with very mature products and has garnered a reputation of delivering consistent services, a rare trait in today’s fast-faced workplace. Robotics companies can benefit from this legacy as they look to expand – whether into new geographies or new industries – by leveraging Ricoh’s global footprint to help them accelerate. Innovators innovate and Ricoh executes. A great example of this is Service Advantage customer Starship Technologies, a robotics company based in Estonia that was looking for a partner to help them expand into the US market. Companies like this, who may be evaluating where and how to invest, see great benefits in leveraging an established organization to help them grow and support their go to market strategy. How is Ricoh’s new offering, Service Advantage, helping robotics companies expand into new markets? When you think about it, this answer really ties back nicely to the answer above. Ricoh delivers uniquely consistent services around the globe and has been doing so for more than 80 years. When companies are looking to expand into new markets – or drive new revenues and profits, capitalize on business growth opportunities or deliver seamless customer experiences – the Service Advantage program is suited perfectly to help them accelerate these goals by expanding existing service offerings, opening up new markets, and providing support at multiple points on the value chain. Ricoh already has the infrastructure in place to help businesses execute, while they stay focused on delivering innovation. In such partnerships, we’re both doing what we do best. If you look at Starship Technologies and how they’re benefitting from Service Advantage –it becomes quite clear. Their team can depend on Ricoh to help them develop a plan for servicing their robots, a scope for preventative maintenance and so much more. They needed to ask themselves: do we do that ourselves or do we leverage an existing infrastructure to manage it? Companies like Starship can build their expansion plans knowing that their partner has the infrastructure to support their business goals. When a business enlists Ricoh’s experts through the Service Advantage program, what kind of services can they expect? Through Service Advantage, robotics companies will benefit from having these highly skilled experts supporting device lifecycle management while acting as a part of their operation teams. These experts will help bridge the gaps in device lifecycle management with "cradle-to-cradle" services related to distribution, installation, maintenance, training, and physical asset retirement along with call center, remote monitoring, site survey support and more. Whether a business is looking to improve customer experiences, manage IoT device lifecycles or grow its topline ‐ Ricoh Service Advantage offers turnkey services and expertise to help. How was this idea for Service Advantage conceived? We’ve been helping customers for 80 years and because our traditional business is evolving, we sought to expand the services and skills garnered over this time to help new customers take advantage of our expertise. When we looked at our business, and our continued path to becoming a services-led company, we realized we were already doing a lot of this value-added work for our clients. Service Advantage was conceived to leverage our established infrastructure, resources and personal with the needed expertise for supply chain, maintenance, etc. via a more formalized service offering. We are maximizing these tremendous global resources we already have to open new doors for our customers. At the end of the day, we want to help new customers leverage what we have built throughout our long history. Where do you see Service Advantage’s role in the growth of drones and robotics usage in the US? Everyday we’re learning more about how big companies like Amazon, Google, Walmart and others are starting to invest in robotics and drones. Social/service robots, transportation robots in warehouses and delivery robots for last mile delivery are all on the horizon, if not yet deployed. Service Advantage can have a role in all of these areas. Robotics technology is crucial to these big industries such as retail that are in need of new innovation to help them grow and scale with customer demand. Service Advantage’s role is to help seamlessly allow that innovation to be executed in these environments where such advanced technologies many be unfamiliar to everyday workers. Ricoh brings reliability as they learn more about these new markets (for startups) or new technologies (for enterprises). Take this example – a large retailer is looking to transform its warehouse from a manual process to be automated with robots. The uptime during this transition is going to be very critical. Once the warehouse is automated, the uptime of the robots will be critical to maintain the efficiencies gained through automation. Service Advantage will maximize the uptime of the robots by leveraging local Ricoh resources to service and maintain the robots. Ultimately, we are assisting companies – from startups to established enterprises – with the adoption and proliferation of robotics. 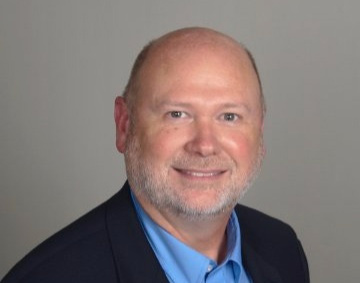 As the Director of Service Advantage Innovation, Dale Walsh is responsible for developing new and innovative strategies, solutions and partnerships for RICOH Service Advantage. Walsh focuses primarily on emerging markets and technologies such as Robotics, Drones and other unmanned systems, last mile delivery systems as well as next generation Retail and e-commerce solutions.